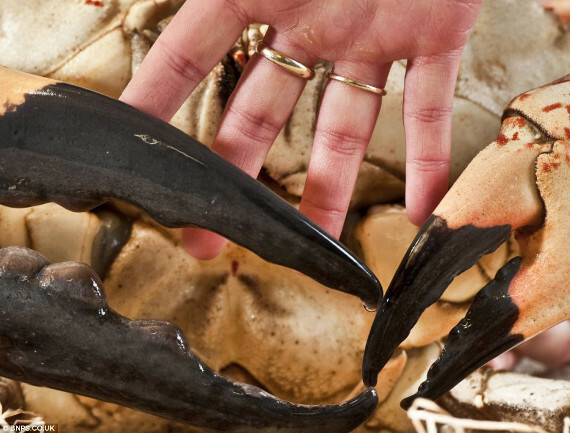 This Monster Tasmanian King Crab was recently caught and was on his way to being served with a side vat of butter. That is until an aquarium worker bought him for display at the Sea Life centre in Weymouth, Dorset. 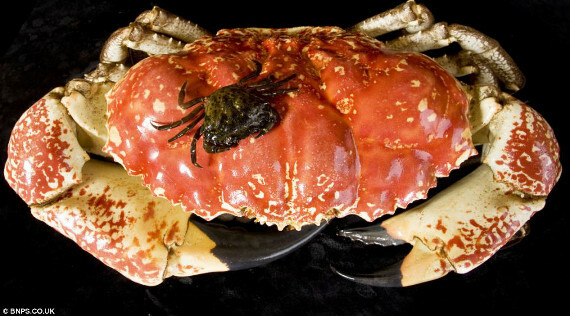 The crustacean named Claude measures 15 inches wide and weighs 15 lbs. And get this — he’s not even fully grown! Eventually he’ll be weighing in at about 30 lbs and add about 3 more inches to his waistline. With claws outstretched, his adult wingspan (clawspan?) will measure 3 feet. *shudders* Until now, I never considered myself a sufferer of straconophobia. That’s a fancy word used for people who are little sissies when it comes to crabs. 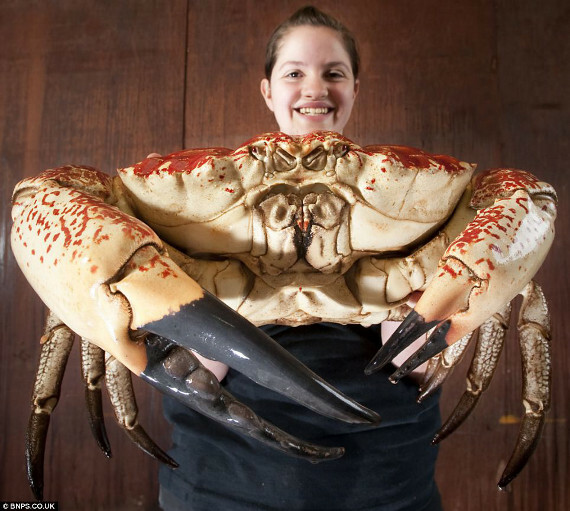 Unless it’s this crab, in which case, totally valid if you’re terrified outta your f***ing mind.